A Small Town. . . The moment Marian Larsen sees the patrol car stop outside her house, she feels a shiver of foreboding. The news is even worse than she feared. Marian's husband and young daughter have been in a snowmobile crash. Dan is paralyzed and Laura is dead, her body broken on the icy ground. Friends and colleagues in Marian's Minnesota hometown rally around to try and ease her grief. But soon there are more horrible accidents. Then the rumors start––that these are not coincidences at all, that someone is picking off victims one by one. 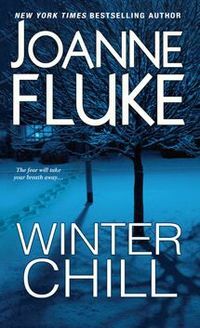 And as winter deepens, the search for answers will reveal a killer whose blood runs colder than the blinding snow. . .